Ferrites: Yes, 20 of them. These cables are heavy and somewhat unwieldy. Exercise caution with the BNC connectors at the source components. 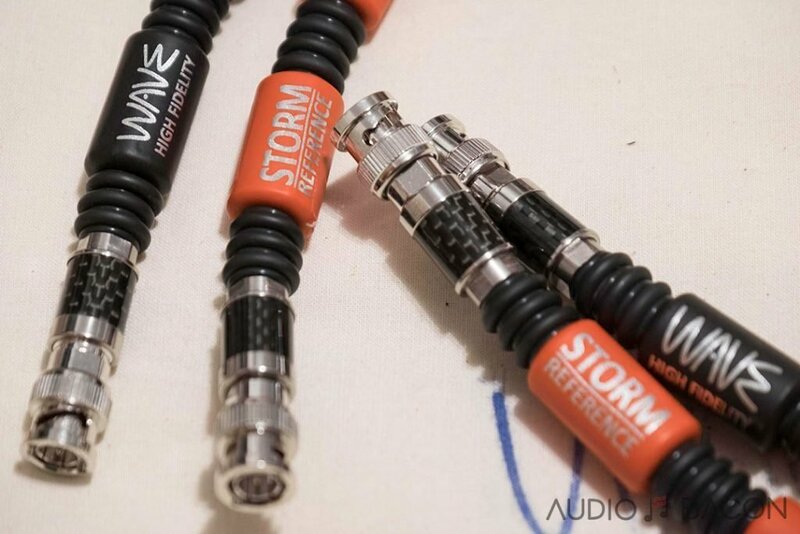 These are the unferrited version of the WAVE STORM Reference cables. For use with the Chord Electronics Hugo M Scaler. 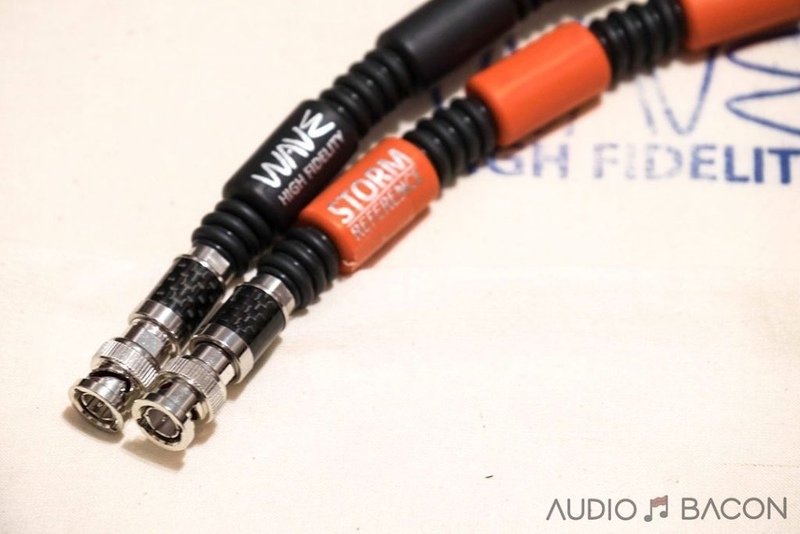 It has been hard work because I originally started my cable venture trying to see if I could make better cables than my Chord Saraum Super Aray interconnects. 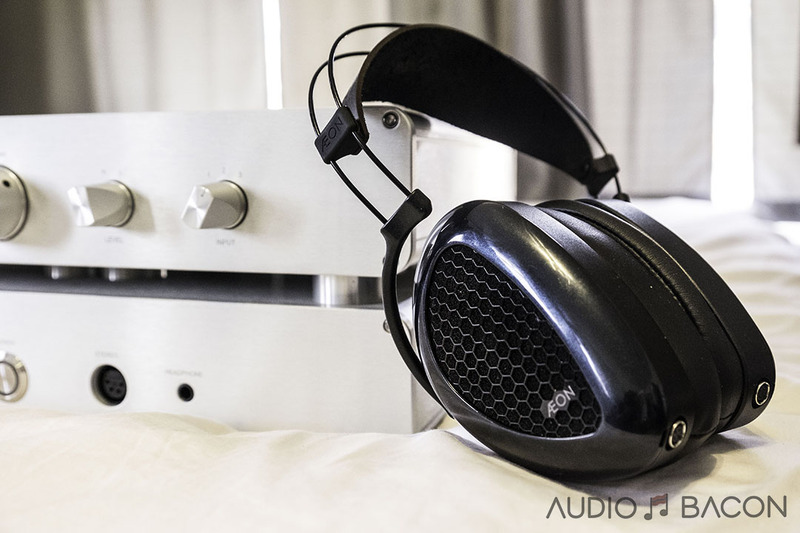 When I did, I sold the Chord Sarum Super Arays and bought a Pass Labs XA30.8 with the proceeds. Then my eye got caught by the idea of making the best cable available to link the Blu2 and Dave and that took 6 months but I think I did it. 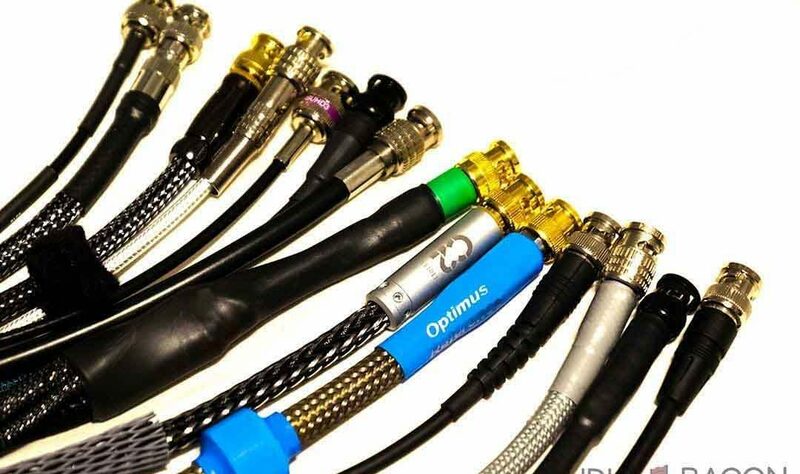 Initially, we are only offering the cables in one-meter length as any shorter means that I cannot accommodate enough ferrites to properly eradicate the RF noise. Also, the ferrites cannot be any closer together because that’ll affect the flexibility of the cables. The music from the Chord Blu MkII MScaler and Dave DAC combination is simply stunning but to hear the combination when RF interference has been removed takes it to a whole new level. My WAVE Storm Reference BNC cables are designed to allow this to happen and I think I have succeeded. I already have a ton of testimonials from happy listeners. It is the ultimate construction using the ultimate materials to ensure the ultimate digital signal from the Chord Electronics Blu Mk.2 to the DAVE. I recognize that this construction does not come cheap and so I have therefore been looking far and wide for alternative base cables which whilst they do not have the STORM solid silver conductor are still extremely high specification cables. 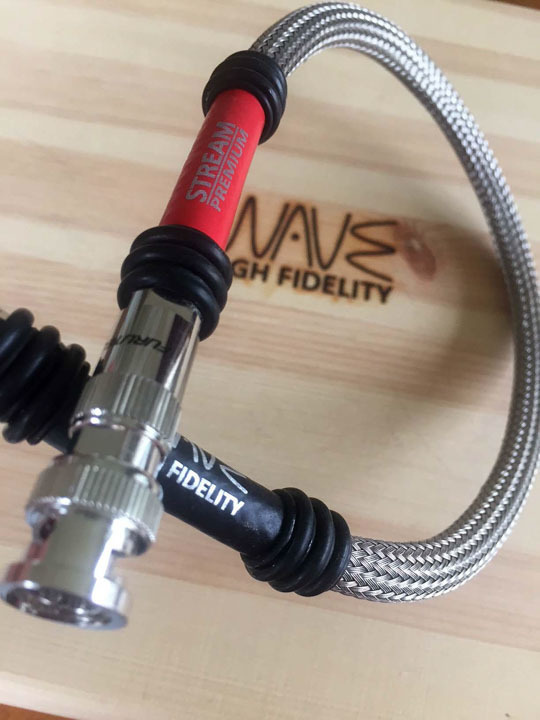 I have now sourced two alternative cables which have specifications that meet my requirements for use in the WAVE STREAM Premium BNC cables and the WAVE STONE Foundation BNC cables for the Blu Mk2. Both of these new cables will have the same type & quantity of ferrites and same general appearance as the STORM Reference cables. The “RF gobbling” properties of the cables will, therefore, be the same as the one in the STORM. 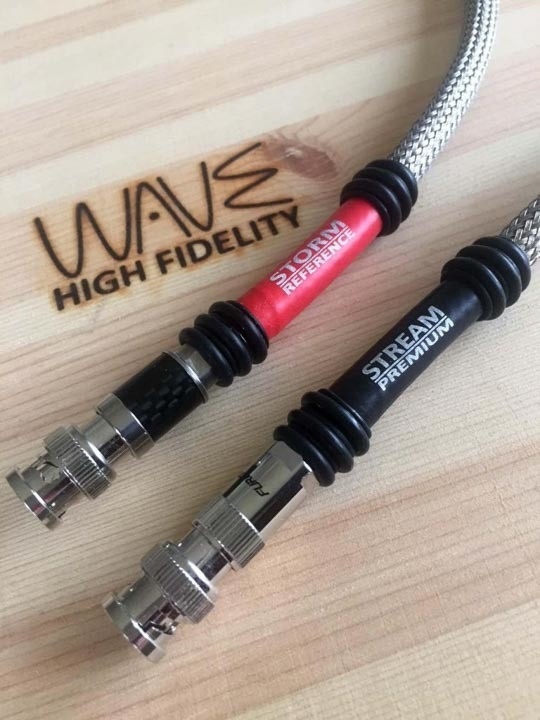 The new STREAM Premium cables have a silver-plated copper conductor instead of solid silver and the STONE Foundation cables have a high specification copper conductor. 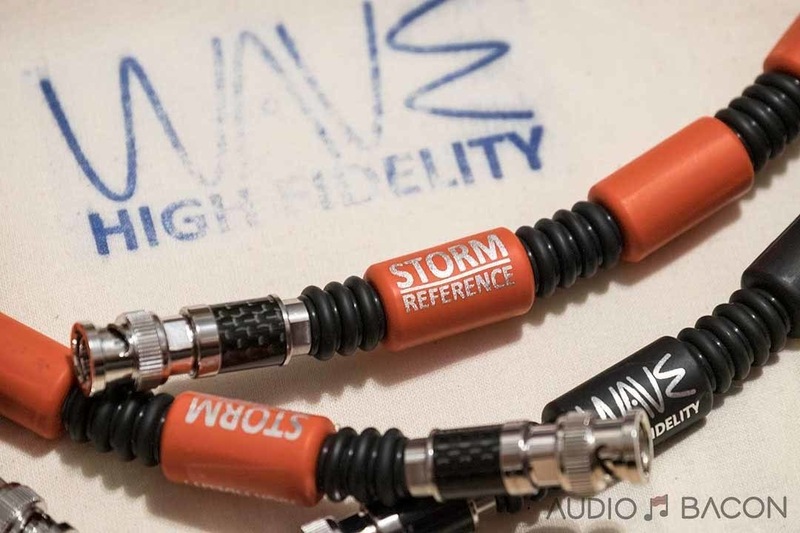 Both of these new cables will be launched on the website in the next two weeks and their price will be significantly more affordable than the STORM Reference versions. My listening tests show that they both remove all the RF just like the STORM Reference cables but by using more affordable materials I can offer the cables at a much more affordable price. Hidden inside is the same meticulous design, attention to detail and construction technique. For instance, all of the BNC connectors from all of the ranges use full 360 degrees soldering to the whole of the screen perimeter to the connectors for the highest performance available without compromise. I will not use lesser quality connectors even in the Foundation range. The most interesting aspect of the STORM Reference is that it was tuned from the ground up for the Chord Electronics Blu Mk.2 and DAVE. Galvanic isolation isn’t a sure shot solution and there’s RFI/EMI everywhere (environment, 2GHz from the FPGA, ground plane, etc). WAVE’s goal was to eradicate every bit of it. The first thing I noticed about the STORM Reference was its bass extrusion capabilities. It has a huge bottom that protrudes into your listening space. It throws its weight outward with ease and authority. It’s almost like a passive bass boost or having a woofer appear out of thin air. Kick drums have a chest-rattling impact (cannons from 1812 Overture) with tangible shape, tone, and tightness. Definitely the punchiest out of all the cables I’ve heard so far. I also took note of the sweet and dense voices and instruments. 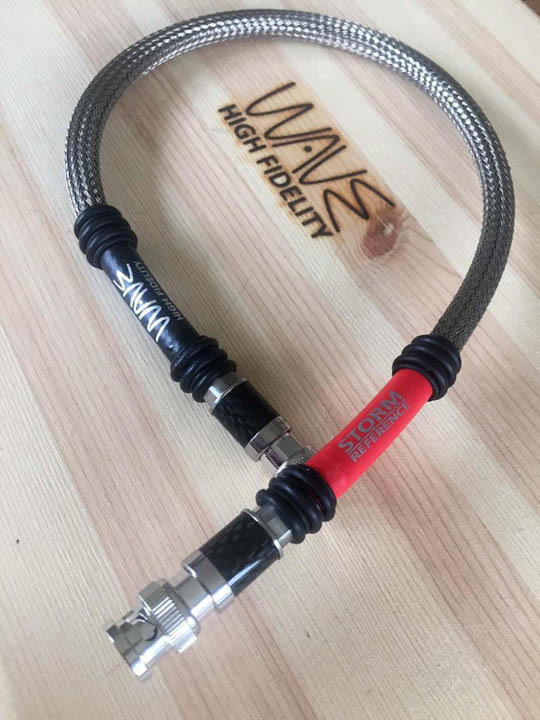 In comparison to any other cable I’ve heard, I would say it’s borderline-dark, which isn’t a bad thing. 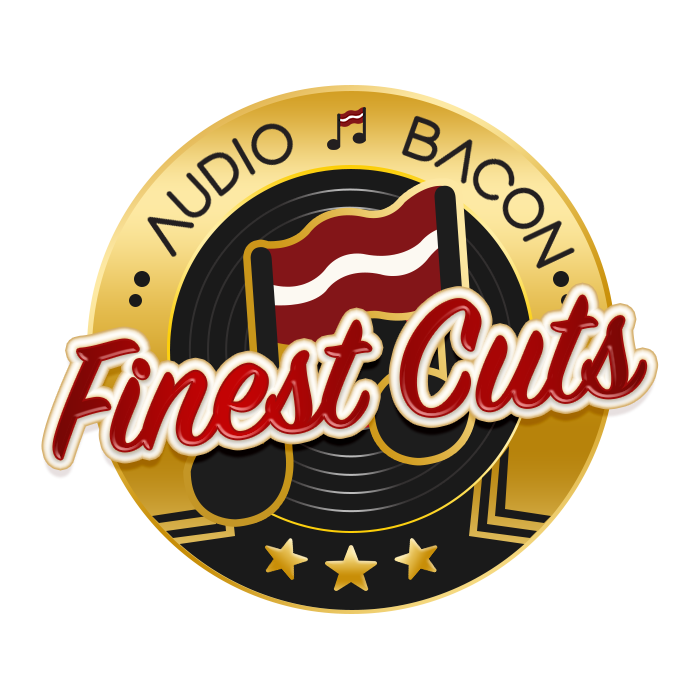 It gives vocals a truer hue and more “life” while attributing more tangibility to percussions, strings, and woodwinds. If you crave a full body, seductive midrange, the STORM Reference will melt you into your seat. As far as air, the STORM Reference has a more down-to-earth atmosphere. It doesn’t reach far into the room and remains in a more intimate setting. 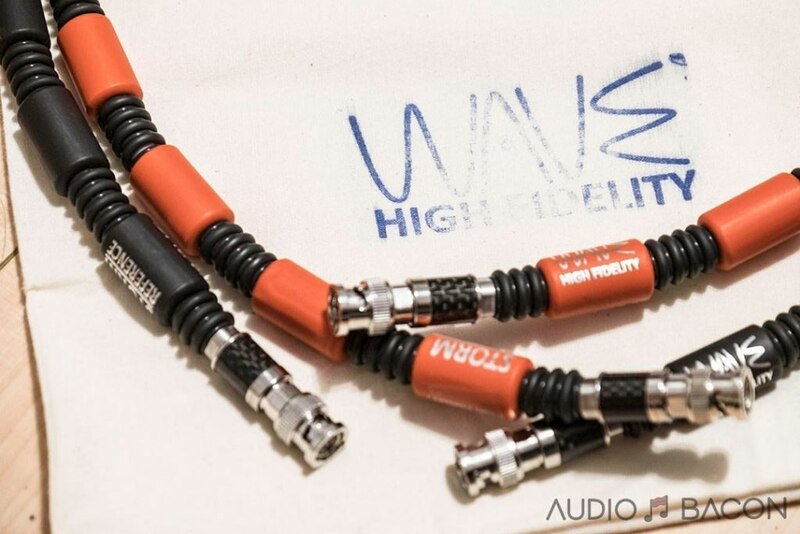 This cable will never sound sharp or sibilant. Cymbals still glow and snares remain crispy. Although it doesn’t have the most expressive “zing” or “bling” off bells and strings, there’s still enough to be appreciated. It’s more of a dimmer shine rather than a rolled off softness. Overall, I’ve found the WAVE Storm Reference to be a perfect complement to the Blu2 and DAVE combination. 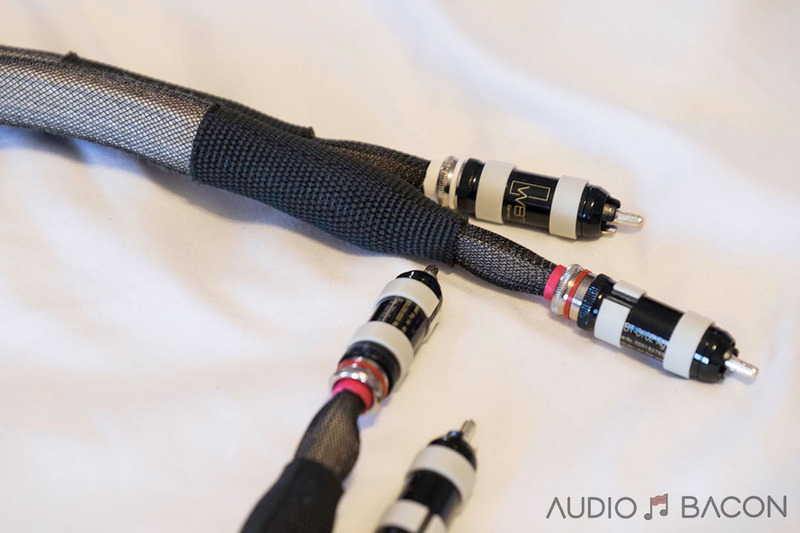 This cable also worked very well in my quick review of the Prism Audio CALLIA. 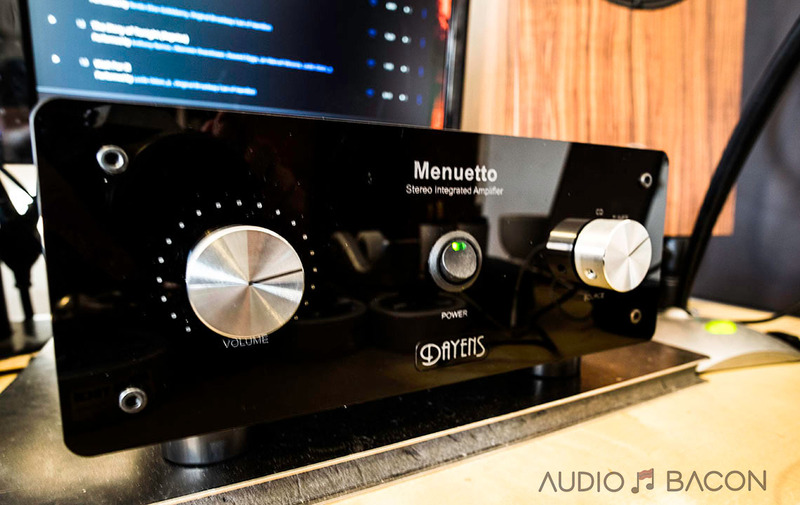 It’s alluring in both its ability to portray dynamics with power and provide appreciable tonal perspective to the listener. Tonal density. A lot of the other cables sound anorexic in comparison to the Storm Reference. If you want to add a lot more meat on the bones, this is the cable to get. 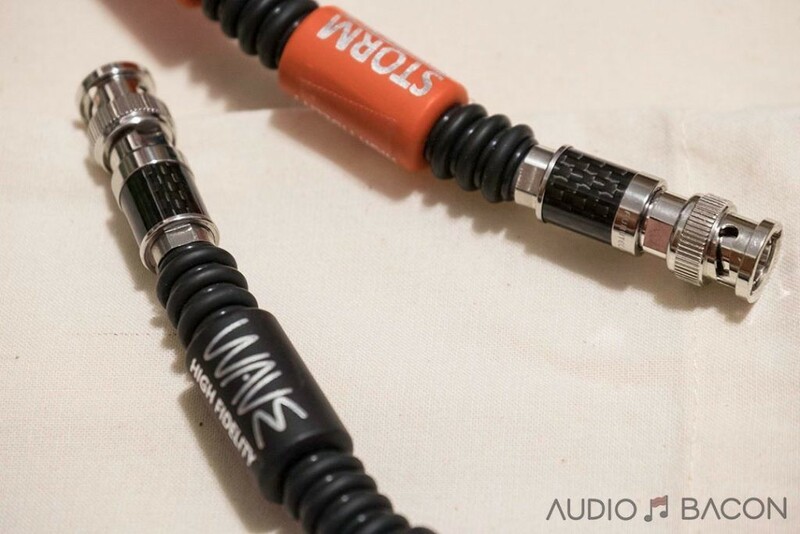 This cable is more fleshed out and gives the music a fuller and better sense of physicality. Tonal contrast. The acoustic terrain is very well layered out with proper color and texture. There are tactile bumps and curves that could almost be visualized. Especially in regards to the lower mids and bass regions. Midrange sweetness. Voices are big, forward, and unapologetically seductive. 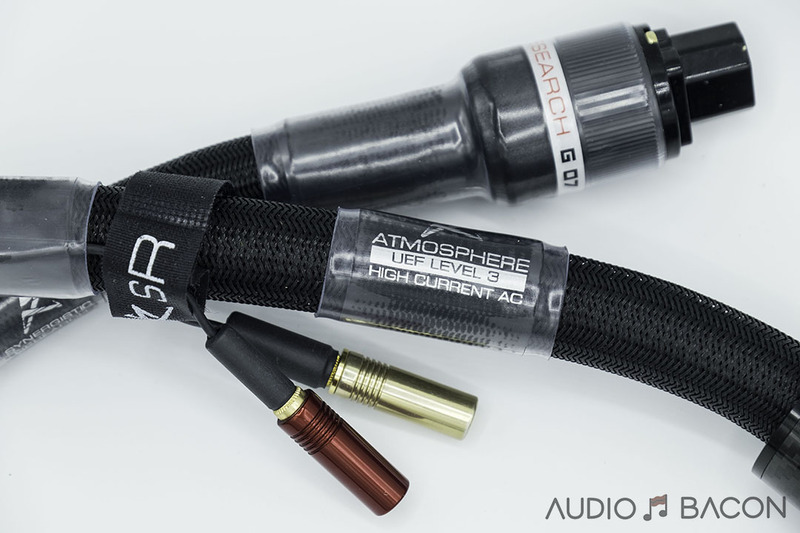 The body of this cable really gives more gravitational weight to vocals and instrumentation. This I feel, imparts a truer character of the performance. You can’t have it all. Ultimate transparency, clarity, depth, delineation, lateral focus, resolution, and air all take a small hit. However, those who appreciate tonal density, timbre, and slam will find the tradeoff to be more than acceptable. For what it’s worth, during group listening tests, many preferred the Storm Reference for its thicker lows and sweeter mids. Some wanted more shimmer up top. Everyone agreed it was very musical and enjoyable cable.